Offering you a complete choice of products which include open jaw slogging spanners, combination ratchet spanners and ring slogging spanners. We are among the pioneers in the industry for distributing and trading Open Jaw Slogging Spanners. 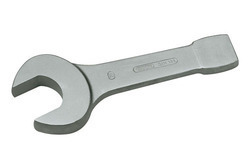 The offered spanners are made from high-grade metal and procured from a reliable vendor base. 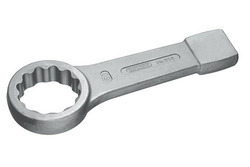 These spanners are durable, dimensionally accurate, resistant to corrosion and have high tensile strength. The offered spanners find wide application in electrical and heavy machinery industries. 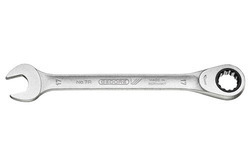 We are among the reputed names in the industry for distributing and trading Combination Ratchet Spanners. The offered spanners are made in a sophisticated production facility by our reputed vendors. These spanners are light in weight, resistant to wear & tear, dimensionally accurate and available in a wide range of technical specifications as well. We are among the celebrated names in the industry for distributing and trading Ring Type Slogging Spanners Sizes from 22-135mm A/F. The offered spanners are known for their precise design, resistance towards abrasion and easy to use feature. These spanners are extensively used in electrical, power generation, automobile and textile industries for fastening of screws and bolts.